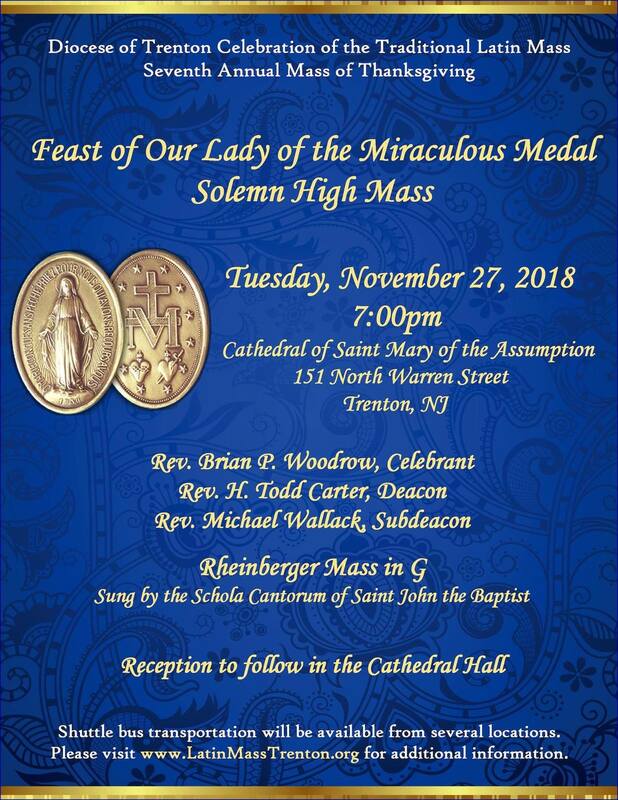 On Tuesday, November 27th, the feast of Our Lady of the Miraculous Medal, a solemn High Mass will be celebrated in the traditional rite in the cathedral of the Assumption in Trenton, New Jersey, the first such Mass to be held there since the post-Conciliar reform. 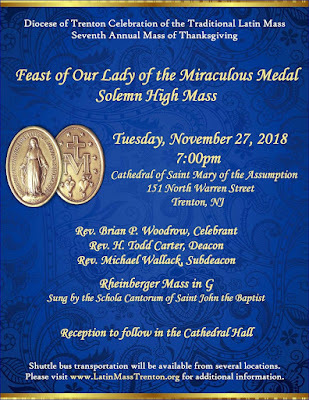 The Schola Cantorum of St John the Baptist Church in Allentown will sing Rheinberger’s Mass in G. The Mass will begin at be followed by a reception; the cathedral is located at 151 North Warren Street. Bus transportation to the cathedral is available from several locations; see http://www.latinmasstrenton.org/lmt/ for details.